More volunteers in more places. Club membership continued to increase up to a maximum of 96 members. To-day the Club has 42 members as two other Lions Clubs were sponsored namely Lions Club St. Paul’s Bay and Lions Club La Vallette. Meetings, which are well attended, are held on the 1st and 3rd Wednesday of each month at The Victoria Hotel in Sliema. During the 3rd Wednesday meeting guest speakers are invited to address Club members on various subjects of interest. The Club’s initial project, a Drug Awareness Campaign together with Caritas Malta was quite ambitious. A great success was registered and this brought to the forefront the Club as one of the leading fund raising associations in Malta. Lions Club Sliema is proud to have undertaken the restoration of the Frescoes at Sant’Agatha Catacombs in Rabat which was a National Project of utmost importance and at an extraordinary cost. These Frescoes date back to the 12th Century and due to their great historical value, leading world experts in the field visit the frescoes. It is not possible to mention all the projects undertaken by the Club since its inception but the Club contributes regularly towards initiatives originating from Lions Clubs International to help victims of international disasters. Old People’s Homes, Children’s Homes, The Community Chest Fund, Ir-Razzett tal-Hbiberija all benefit from funds collected during our Fund Raising Activities. The Club organizes youths and schools to participate in the worldwide Peace Poster Competition that is held annually by Lions Clubs International. Lions are known as “knights of the blind in the crusade against darkness”. In our work to improve sight, we recycle used glasses, we support Eye Banks to provide eye tissue for sight-saving surgeries, we supply equipment to screen the vision of thousands of people every year and we raise donations through our Sightfirst and Campaign Sightfirst II. To attain these goals the Club has contributed towards the establishment of an Eye Bank at Mater Dei Hospital and Eye Screening Equipment at 6 Health Centres in Malta and Gozo for the early detection of Glaucoma. 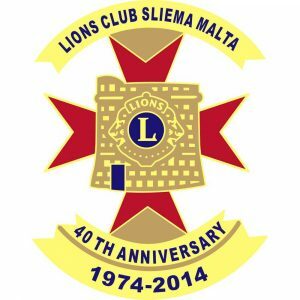 The Club has its own website:www.lionsliema.com. and may be contacted at P.O. Box 62, Sliema SLM1000. This year’s President is George O Attard. The article is written by Past President Alfred Micallef Attard. We appreciate and thank all those who have helped in any way.